Sharpen the mind1,2 and fuel your workout with THE Pre-Workout+. Engineered with Phasetech™ — our unique time-release technology designed to optimise ingredient delivery. THE Pre-Workout+ uses a combination of cutting-edge ingredients like VASO6™ and dual-phase released caffeine to enhance endurance performance,3 and help you stay one step ahead of the game. Our potent formula delivers a dual-phase caffeine release for a powerful kick-start,3 with innovative beadlets giving you a sustained spike. THE Pre-Workout+ also includes a combination of VASO6™, Alpha-GPC, Huperzine A, AstraGin®, and BioPerine®. These have been specially added to help push you further and break barriers — rep after rep, set after set. VASO6™: a new 100% natural and patented ingredient, derived from green tea extract and containing naturally high levels of specific catechins and over 90% polyphenol content. Huperzine A: huperzia is a natural compound extracted from the club moss huperzia serrata. It is typically used in traditional Chinese therapies, and is native to India and Southeast Asia. Niacin: supports normal psychological function — helping you stay on top of your game. Our formula also contains: AstraGin®, and BioPerine® — sourced from natural plant extracts, these are popular in traditional Eastern therapies and is a favoured ingredient in many pre-workout blends. 1. Caffeine helps to increase alertness. 2. 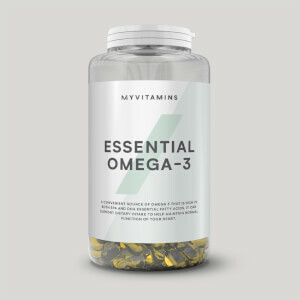 Vitamin C and B12 contribute to the reduction of tiredness and fatigue. 6. Choline contributes to normal lipid metabolism. 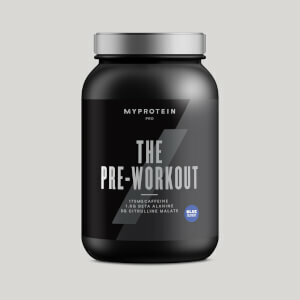 When to take THE Pre-Workout+? What does THE Pre-Workout+ work well with? 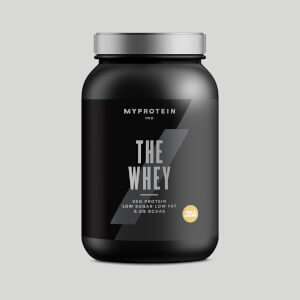 To make sure you’re also getting the protein you need to grab those gains, add THE Whey+ — our most premium whey protein, crafted using the finest ingredients to promote muscle growth and maintenance,5 with over 26g per serving. Warning: High caffeine content. Not recommended for children, pregnant or breastfeeding women. May have an adverse effect on activity and attention in children. Do not exceed the stated recommended daily dose. This product should not be used as a substitute for a varied, balanced diet. Keep in a cool dry place out of direct sunlight. Not suitable for vegetarians. E110 E129 and E133 may have an adverse effect on activity and attention in children. L-Citrulline, Beta-Alanine, Betaine Anhydrous, N-Acetyl-L-Tyrosine, Taurine, VASO6™ (Green Tea Extract), Alpha GPC (Glycerophosphpryl Choline), Anti Caking Agents (Calcium Silicate, Silicon Dioxide), Caffeine (Anhydrous, PhaseTech™ Beadlets (Sodium Bicarbonate, Anti-Caking Agents (Talc, Silica, Magnesium Stearate, Ethyl Cellulose), Vegetable Oil, Acid (Citric Acid), Starch, Glazing Agent (Amino Methacrylate Copolymer, Isopropyl Alcohol, Methylene Dichloride), Thickening Agent (Hydroxypropylmethylcellulose), Colour (E102, E133)), Hawthorn Berry 10:1, L-Theanine, Vitamin C (Ascorbic Acid), AstraGin®, Huperzine A, BioPerine® (Black Pepper Extract), Niacin Powder, Vitamin B12 (Cyanocobalamin), Vitamin B1 (Thiamine), Flavouring (Acids (Citric Acid, Malic Acid), Sweeteners (Sucralose, Acesulfame K), Colour (E110)). 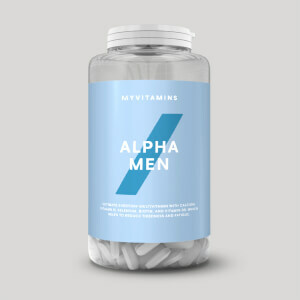 L-Citrulline, Beta-Alanine, Betaine Anhydrous, N-Acetyl-L-Tyrosine, Taurine, VASO6™ (Green Tea Extract), Alpha GPC (Glycerophosphpryl Choline), Anti Caking Agents (Calcium Silicate, Silicon Dioxide), Caffeine (Anhydrous, PhaseTech™ Beadlets (Sodium Bicarbonate, Anti-Caking Agents (Talc, Silica, Magnesium Stearate, Ethyl Cellulose), Vegetable Oil, Acid (Citric Acid), Starch, Glazing Agent (Amino Methacrylate Copolymer, Isopropyl Alcohol, Methylene Dichloride), Thickening Agent (Hydroxypropylmethylcellulose), Colour (E102, E133)), Hawthorn Berry 10:1, L-Theanine, Vitamin C (Ascorbic Acid), AstraGin®, Huperzine A, BioPerine® (Black Pepper Extract), Niacin Powder, Vitamin B12 (Cyanocobalamin), Vitamin B1 (Thiamine), Flavouring (Acids (Citric Acid, Malic Acid), Sweeteners (Sucralose, Acesulfame K).